OMEGA’sPHH-253-KIT is ideal for quick and accurate measurement of pH and mV either in the field or in the laboratory. Supplied as a compact and portable kit, the PHH-253-KIT is perfect for transporting to on-site locations while keeping the equipment organized and ready for future use. 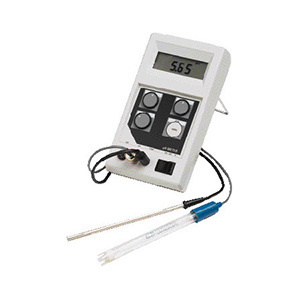 The meter provides ±0.02 pH accuracy of measurement with 0.01 pH and 1 mV resolution. pH calibration is manual using one or two points. The kit comes complete with meter, epoxy-bodied general purpose pH electrode, temperature probe, carrying case and user’s manual.